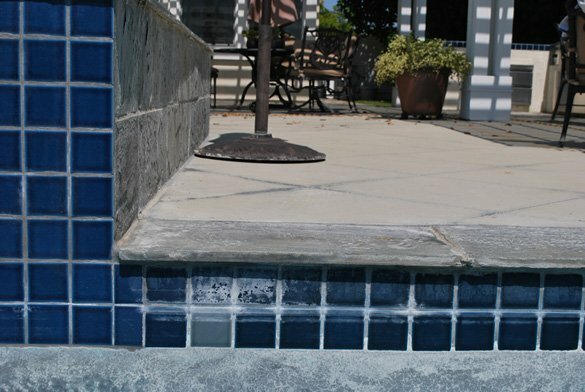 A San Diego homeowner in the Carmel Valley area asked us to remove the calcium buildup from the blue porcelain tile on their swimming pool and spa. 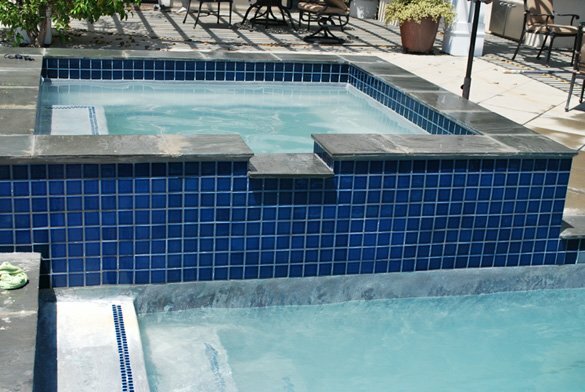 The swimming pool has a raised spa with the same pool tile on the spillover covered with calcium. 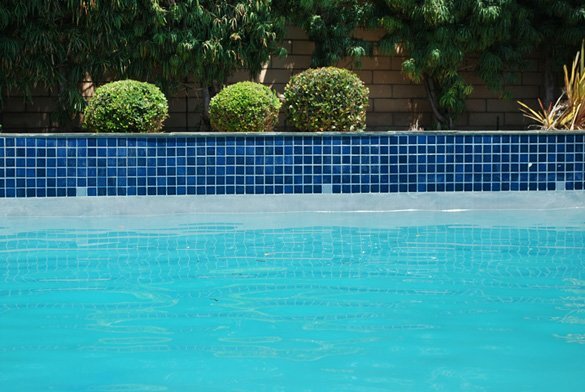 The calcium extended to the waterline around the entire pool. 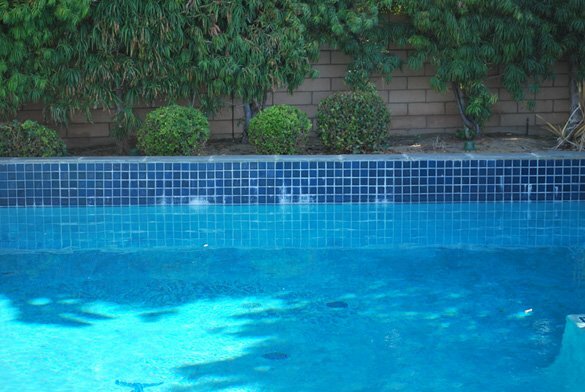 Half of the swimming pool has a raised bond beam which holds a planter bed. The pool bond beam tile also had quite a bit of calcium on them. 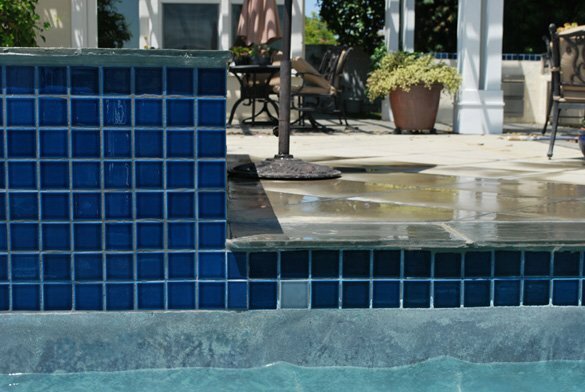 On arrival at the home we lowered the water in the spa and swimming pool slightly below the tile. 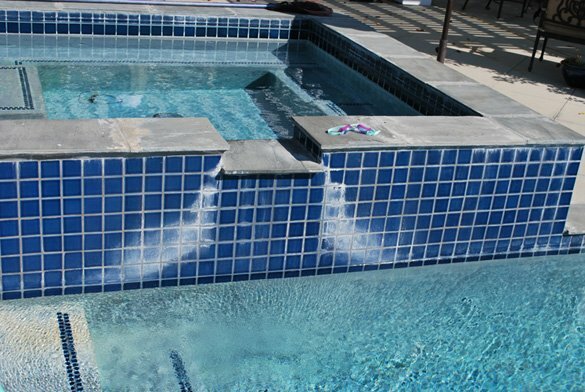 To remove the calcium we used our rapid water induction system which sprays a pH balanced environmentally safe and non-abrasive mineral that gently removed the hard water deposits. After removing all of the calcium which had built up on the tile we used our portable filtration system to remove the leftover cleaning material and calcium debris from the pool and spa. The pool was then refilled and the pump was allowed to circulate the water. The customer was extremely happy with the results.